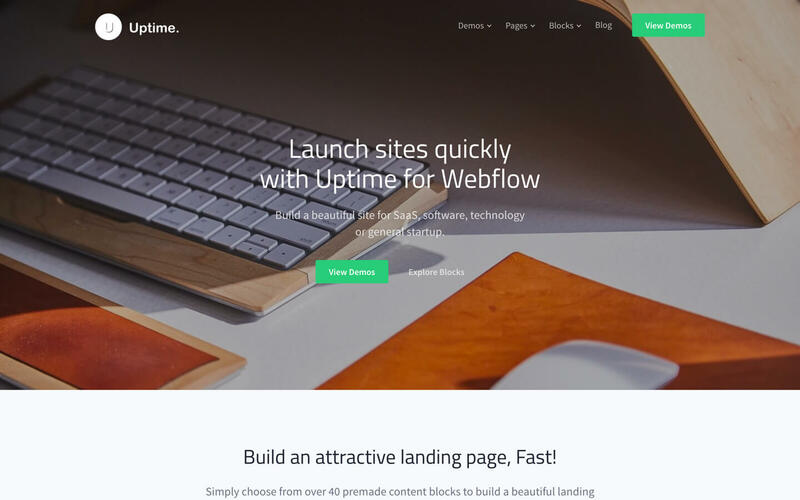 Uptime Webflow CMS Template empowers users to create their own beautiful, responsive product landing pages by combining any of the 40 carefully crafted interface blocks. 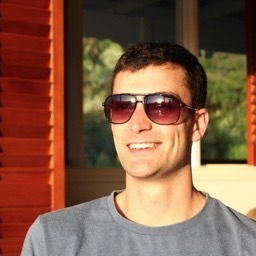 Select from interface blocks from categories such as: Headers, Forms, Product Features, Pricing Tables etc. to create a purpose-built solution for your product or service. 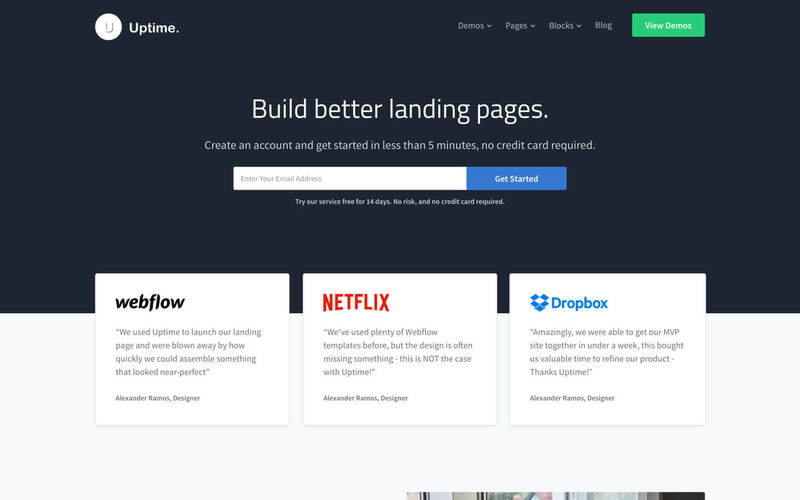 Easily copy blocks to your landing page, rearrange the order to suit and add your content - ready for deployment. 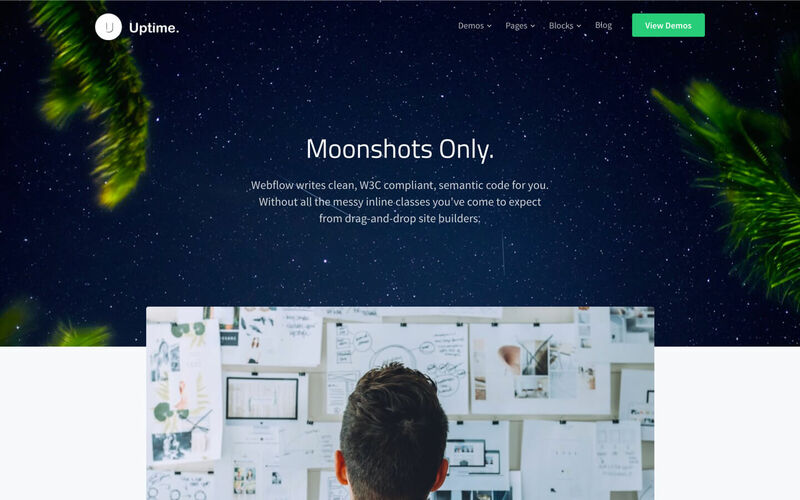 Uptime's modular interface blocks feature multiple layouts and variations, presenting the perfect platform for you to produce A/B test pages for your service while keeping the overall aesthetic of your page consistently beautiful. 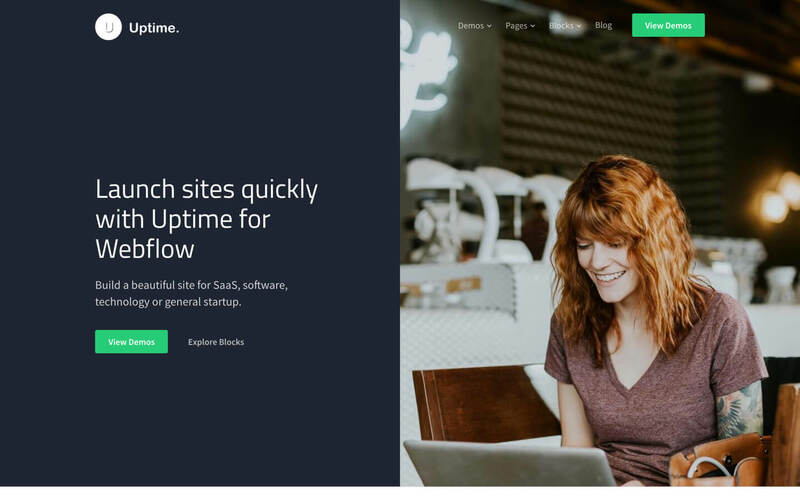 Featuring full blog styling and functionality powered by Webflow CMS - Uptime can pull triple-duty as your company presence, blog and landing page solution.